Balsamic roasted Brussels sprouts are bursting with flavor and they’re seriously so simple to toss together! I like to make a big pan of these to keep on hand for dinner all week long! 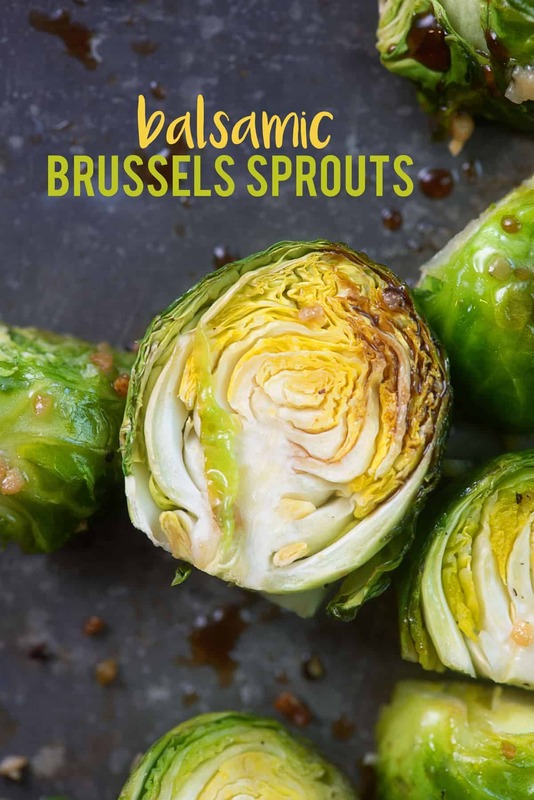 Everyone loves to hate on Brussels sprouts and I’m pretty sure it’s because their grandma boiled them up and served them for dinner one too many times. I’m sorry, but a Brussels sprout should never go near a pot of boiling water. That’s just asking to make someone hate their veggies. I’ll be the first to admit that Brussels sprouts aren’t my favorite vegetable in the world, but these balsamic roasted Brussels sprouts are seriously my favorite way to serve them up. Magic happens when you roast vegetables, as I’m sure most of you already know. The texture is so much better than boiling. 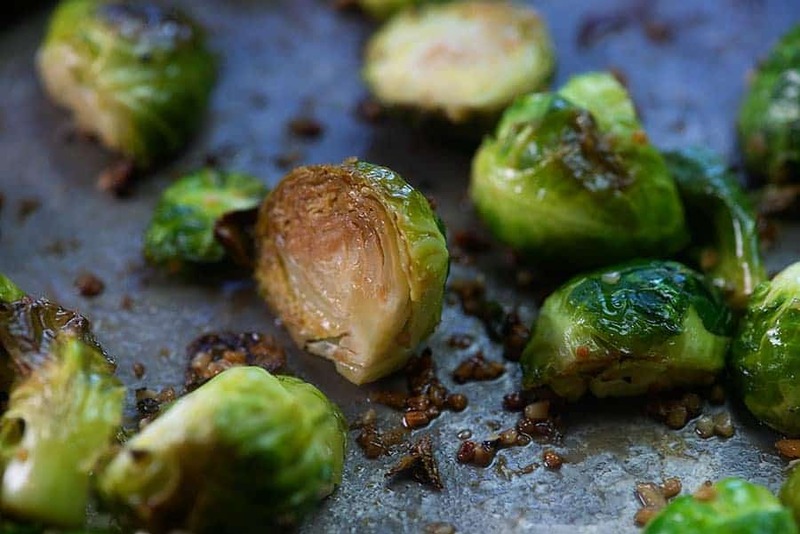 Roasted Brussel sprouts get this nice nutty flavor, and you can add whatever flavors you like. I seasoned these with a fair amount of salt, because nothing livens up a boring veggie like a little salt. ? Then I roasted these with minced garlic, because duh. Then I finished them off with a little drizzle of Balsamic. This recipe could not be easier or more flavorful. I think you’re going to love it! The balsamic brightens up the sprouts. The garlic is life. The salt brings it all together and the sprouts just burst with flavor in your mouth. Make these. You won’t regret it. Low Carb Coleslaw: My mama’s famous recipe! Broccoli Salad with Bacon: If you like cheese, bacon, and ranch, you have to try this! Cucumber Salad: So simple and refreshing! Broccoli Casserole: This one gets rave reviews! 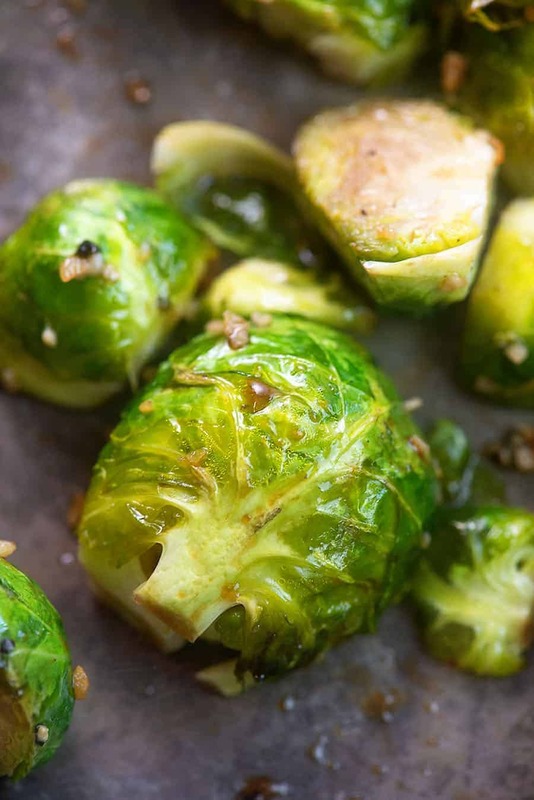 These roasted balsamic Brussels sprouts are so good they might just turn the sprout haters into sprout lovers! Wash Brussels sprouts, removing any loose outer leaves, trim the ends, and cut in half. 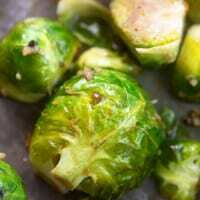 Place Brussels sprouts on a large baking sheet along with the minced garlic. Sprinkle with salt and pepper. Drizzle generously with olive oil. Stir well. Roast for 20-30 minutes, stirring once halfway through, until Brussels sprouts are browned and tender. Remove from the oven and drizzle with balsamic.Stir to combine. Some balsamic vinegars contain a lot of added sugar. Check for one that is around 2-3 carbs per tablespoon before buying.